Growing in wide rows in the vegetable garden basically means that instead of planting an individual row of seed or plants, you set them out in strips that are 1 - 4 feet in width. The row can be any length you like. Wide rows allow you to squeeze more vegetables into less space. Planting single rows require that you have to leave space to walk between them. A wide row still allows you to reach into the center of the row to seed, weed or harvest, but you won't be walking in between the plants. This style of planting works especially well with vegetables that are harvested over a prolonged period. Like leaf lettuce, and other salad greens. This also applies to later maturing cooking greens, like kale, chard, and collards, as well as vegetables that are succession planted, such as radishes, carrots, beets, peas, and beans. Large vegetable plants, like tomatoes, would not be good choices for wide rows. Otherwise, you can plant just about any type of vegetable in a wide row, as long as you don't crowd them too closely. Even long season vegetables, like garlic, onions, leeks, and parsnips, can be grown in wide rows. You have two options when planting wide rows: multiple single rows and broadcast seeding. Within each wide row, you can lay out two or more straight line single rows. You can even stagger the planting times or mix vegetable varieties in a single wide row. For instance, you could designate a wide row for beets and plant a single row each week, for four weeks, so that you wind up with four rows of beets that will mature at different times. Succession planting that way means that some of the wide rows will remain unplanted for almost a month. If space is tight, another option is to plant a row of beets, a row of radishes and a row of spinach. The radishes and spinach are fast growers, and you can replant their rows with more beets or whatever else you'd like to try in that row. You could also interplant plant slower growing plants with vegetables that will mature and be harvested by the time the slower plants need the space. For instance, you could plant small pepper seedlings in the same wide row with radishes or arugula. As the pepper plants start to grow, they will provide cooling shade for the spring vegetables, which will be harvested long before the peppers fully spread out. 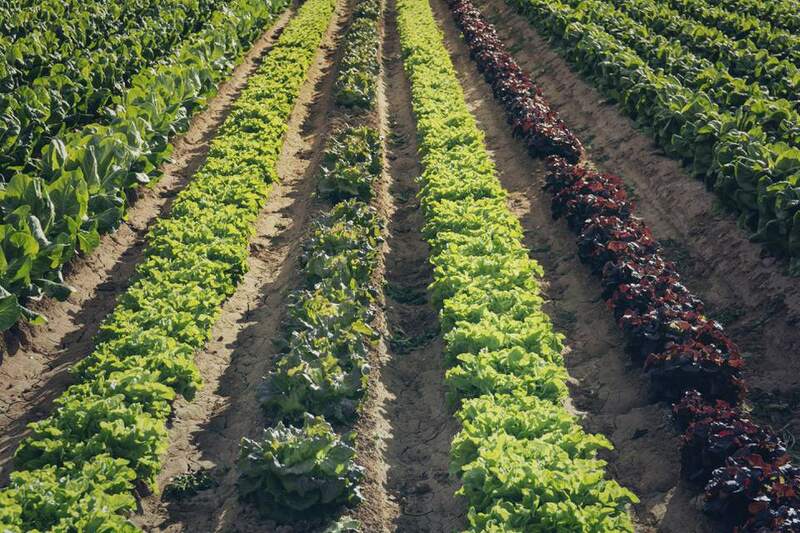 And finally, you can divide your wide rows into blocks, planting 1 - 2 ft. stretches of the row with different crops, for instance, a block of onions followed by a block of lettuce followed by a block of chard in the same row. This is my preferred way to succession plant without leaving empty wasted blocks. This kind of companion planting takes some finagling, but it lets you get a higher yield from a small space. If you are direct sowing seed, you don't have to adhere to straight line rows. You can simply scatter seeds across the wide row. This works great for bush peas and beans. When these plants are grown in a wide block, the plants can help support each other as they grow. Lettuce and other salad greens are also easy to broadcast seed. You can thin young plants or cut only the outside leaves of plants and allow the remaining plants to continue growing. Don't be tempted to sow too densely. The plants will still need good air circulation as they grow, to prevent diseases and other problems. That's why plants that can be thinned and eaten while young make such good candidates for broadcast seeding. A bonus of wide row planting is that less of your garden soil is being walked on and so less of it gets compacted. When your soil remains loose, you won't have to till the soil to replant, and the insects and other organisms in the soil remain more active. Can Gardens Thrive Under Trees?